On 15/10/2016, Tata Motors Limited (TML) announced recruitment notification to recruit Turner & More Vacancies. 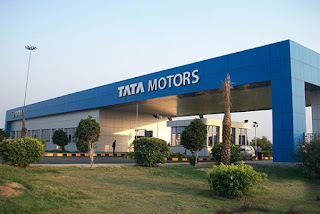 Through this recruitment notification, Tata Motors Limited (TML) plans to recruit 10TH, +2 CLASS, ITI candidates for the post of Turner & More Vacancies. Tata Motors Limited (TML) proposes to receive the application from applicants in Offline Mode. Eligible candidates can submit their application to Tata Motors Limited (TML) before 31/03/2017. All those aspiring to apply can check out various information like eligibility criteria, salary, Total vacancy, Selection Procedure, Job description, last date, Application procedure and other key information required for the post below. Selection Will be Based on /either Written Test / Personnel Interview / Other Mode by the Tata Motors Limited (TML)norms or decision . Interested and eligible Candidates Can apply offline for the post of Turner & More Vacancies Post mentioned below. Labels: 10th 12th . ITI.